Kids learn by repetition. They also learn by watching their heroes and how those heroes conduct their daily lives. In the case of your kids, you are their hero, so they’re going to emulate you. Today, let’s talk about security for your kids and how to make their world safer. School is starting, and it’s worth looking at the materials the schools send home with the kids, starting with the rules. They ask parents to review the school rules with their children, and then everyone signs it to say they read and understand the rules. Every. Single. Year. From a security standpoint, a yearly review is excellent and the beginning of the school year is also an opportunity for you to review safety rules for your children before they navigate their way through the school year. We’ve talked before about latchkey kids, the rules you may want to make for them, and how to outline safe practices for them. You can see that blog here. The essential thing is not which rules you have for your child, but, that they are reviewed periodically to keep them fresh in your child’s memory. Like swimming lessons, after a period of non-use, a refresher may be needed. There are a lot of solid frameworks for kid rules out there if you aren’t sure yours are up to snuff. Some parents are less inclined to allow their children to take risks, and other parents believe that calculated risks can provide a framework with which to develop confidence and autonomy, You know your child and their skill levels. If they need new security skills, you’re the one who can teach them those. Your children are great copycats. If they see you locking doors, checking windows, and turning on the alarm, they will have a role model to emulate. I don’t know why it doesn’t work with putting their clothes in the hamper. I wish I did. The point is that you can’t tell them to do one thing and then do something else. Follow the security measures you want your kids to emulate. Explain deterrents to your kids and how we benefit from providing deterrents against crime. Kids always need to be wearing a seat belt or be in their car seat. 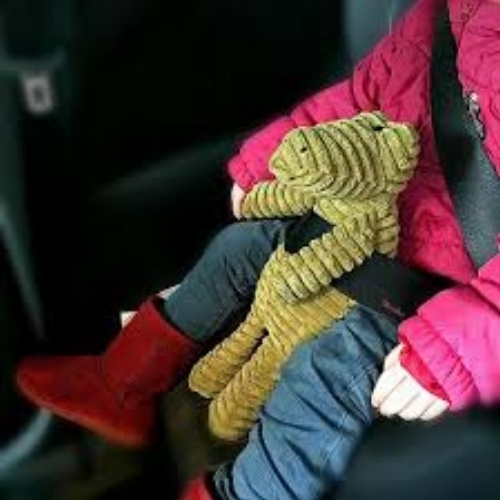 Since unintentional accidents kill more kids than anything else, and motor vehicle accidents cause more deaths than pedestrian or bicycling, let’s see those seat belts on every kid during every single trip. Plus, it also gives me a chance to remind you all that if your child or pet gets locked in a car, I will come out free of charge and open it for you. I’ve had to do it a number of times now, and I’m going to keep doing it. No judgment here, because no one locks their kid or dog in the car on purpose, and we live in a busy, distracted environment. So, if one of yours gets locked in, please call me. With a little guidance, coaching, and review of the rules, you can send your child out into the world with a good awareness of safe behaviors and the means to successfully navigate their own personal security.